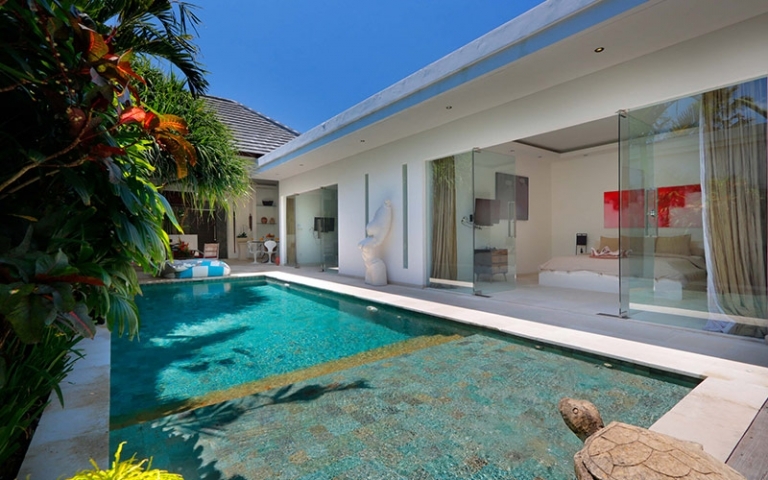 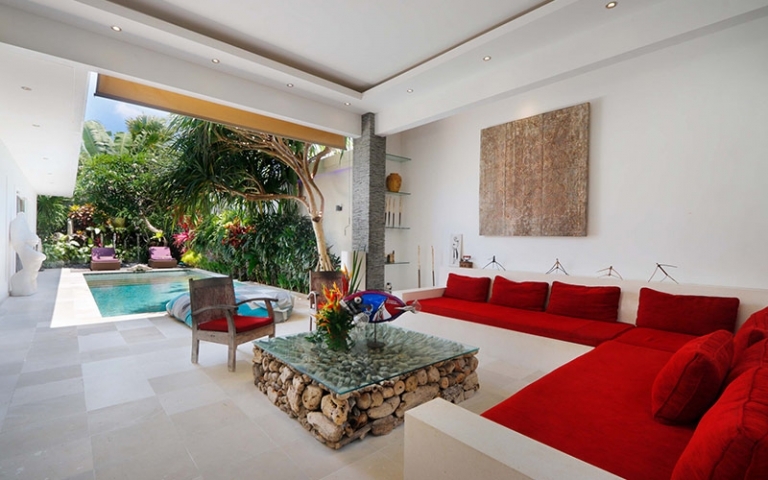 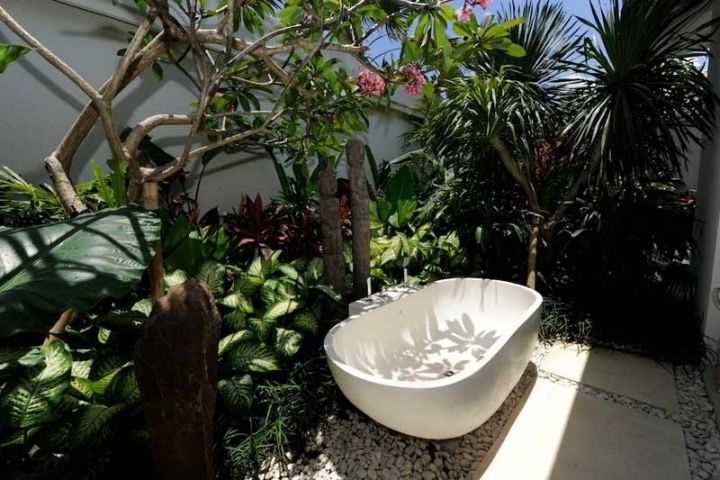 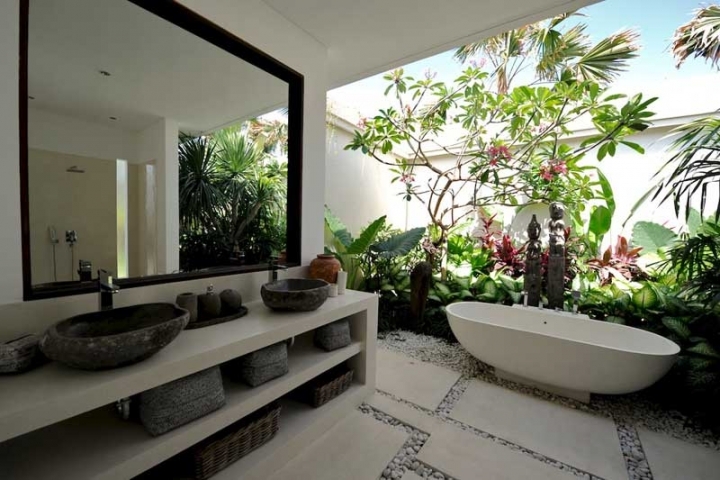 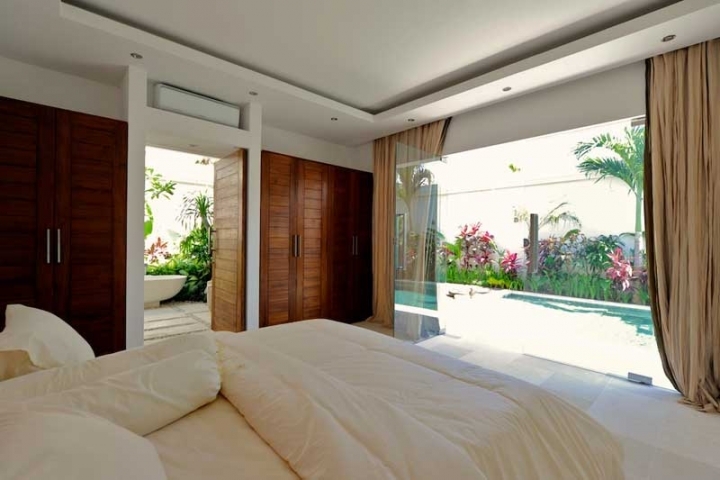 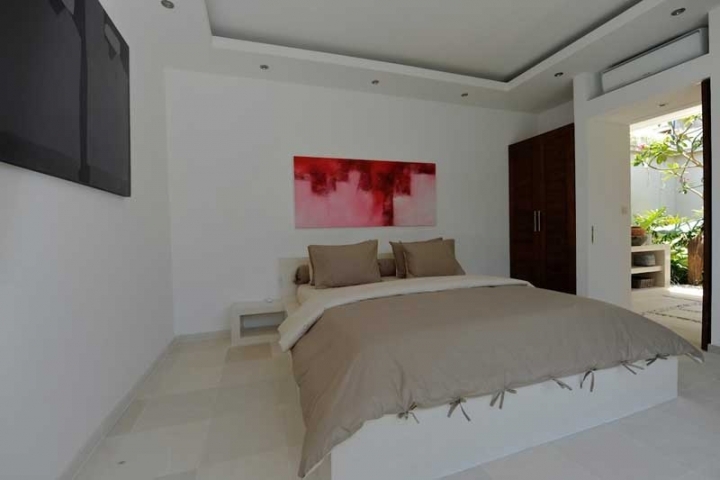 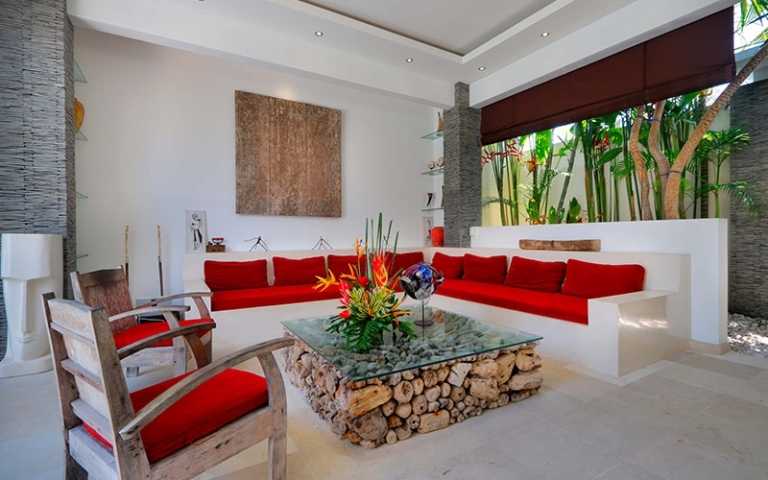 Modern villa built in a small alley in the Seminyak area, fashionable sea-side resort of Bali. 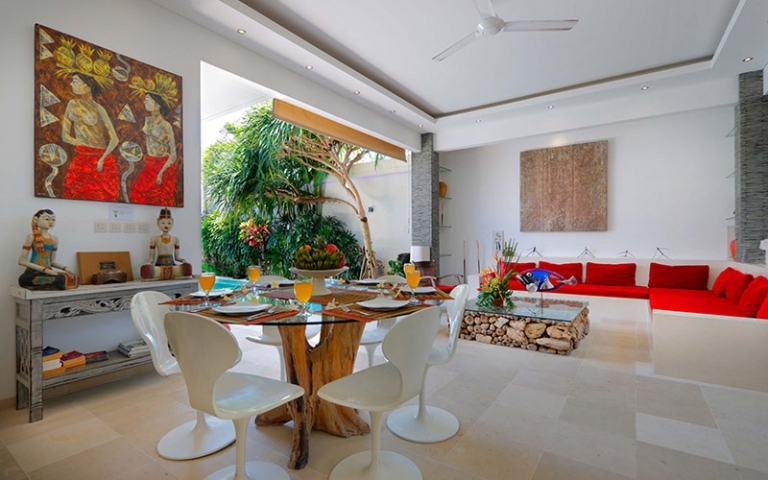 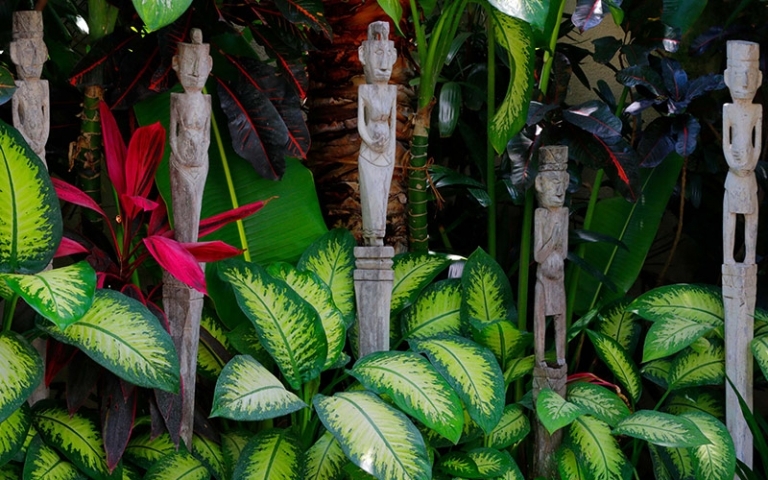 Its design is definitely modern, however the use of local materials as well as the decoration of ethnic influence gives it a tropical and refined atmosphere. 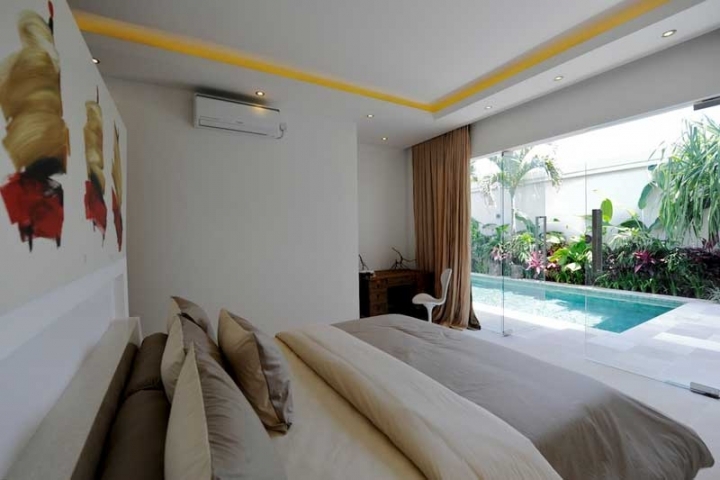 3 comfortable bedrooms: 2 bedroom with bathrooms and one small bedroom with outside toilet only. 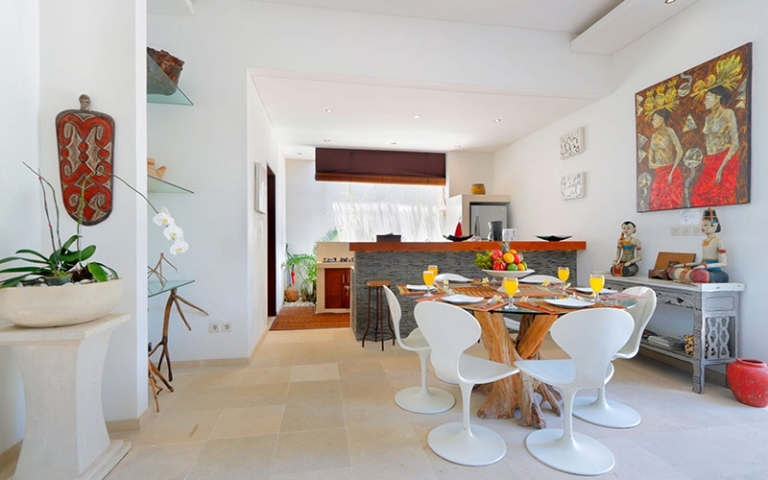 Open living and dining room with kitchen. 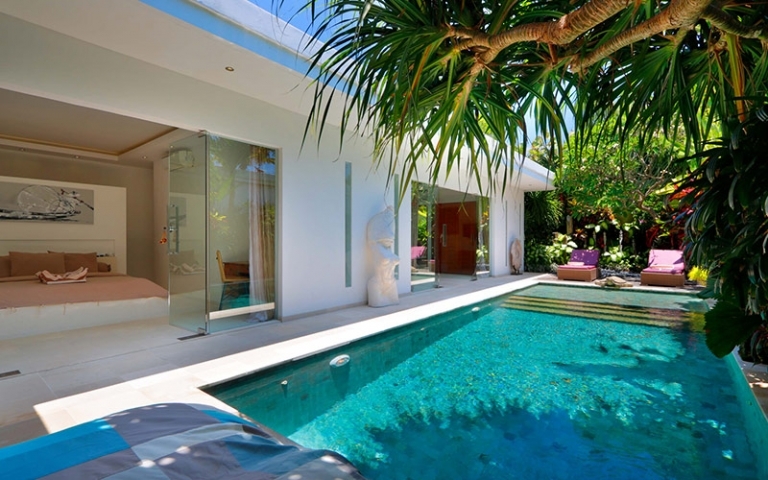 Private swimming pool 9 x 4,5 m.
Staffs in villa: housekeeping, gardener, maintenance and security. 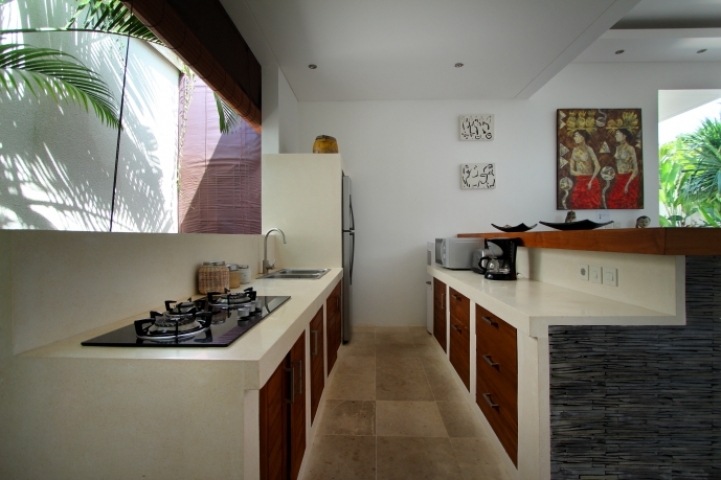 Middle season: April 1 - June 30, September 1 - October 31. 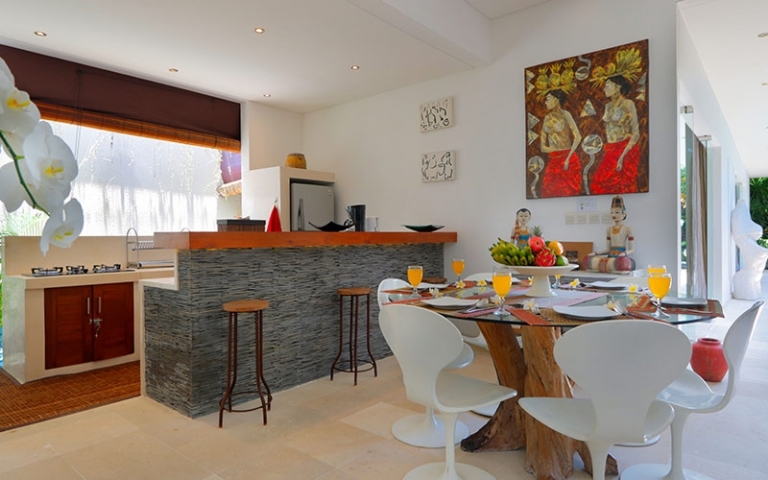 Price in middle season is $180 per night.